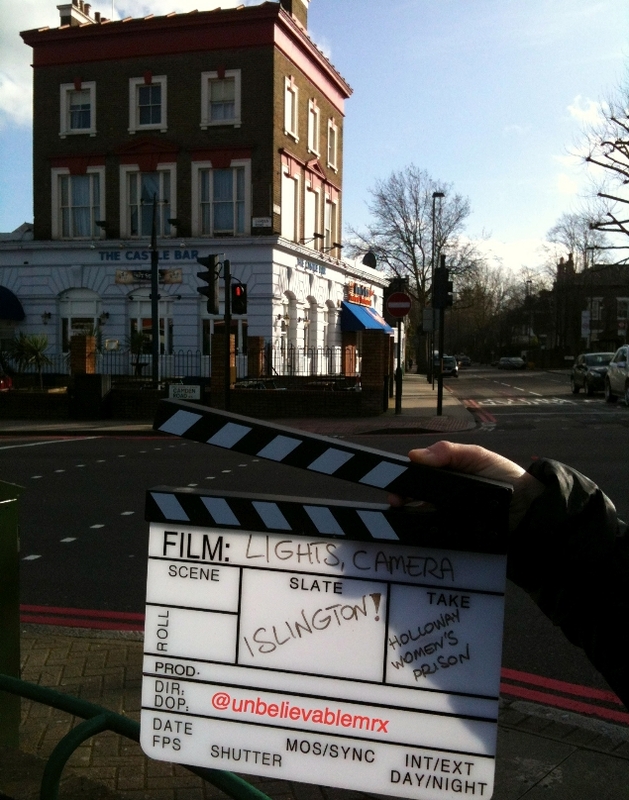 February | 2014 | Lights, Camera…Islington! 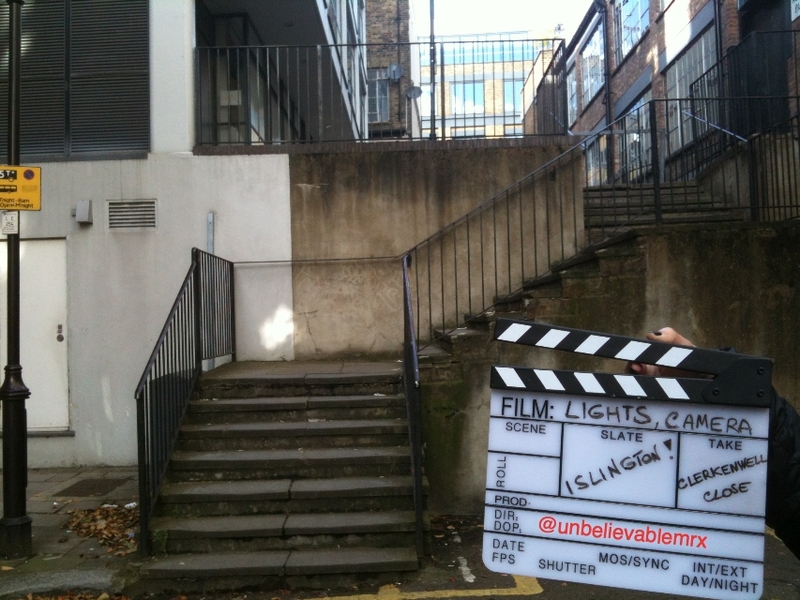 In a similar way than Chapel Market, this week’s Islington Film Location survived the upheavals of the 20th century without any major changes. Similarly, it features regularly on our screens and you can be sure that “we’ll be back”. This is where the similarity ends. Agatha Christie’s crime novels have been adapted time and time again for the big screen, the television or the stage. It is for an episode of ITV’s Agatha Christie’s Poirot, that Belgium detective Hercule Poirot (David Suchet), graces us with his presence. 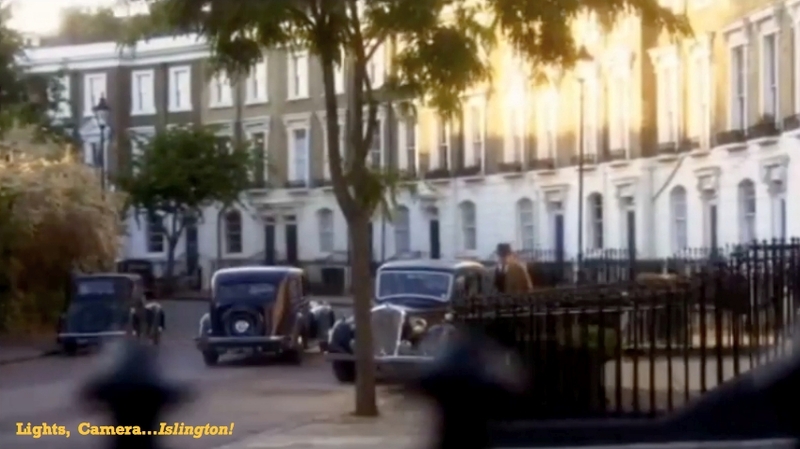 In The Clocks (Season 12 – 2009), Hercule Poirot investigates a murder in Wilbraham Crescent. 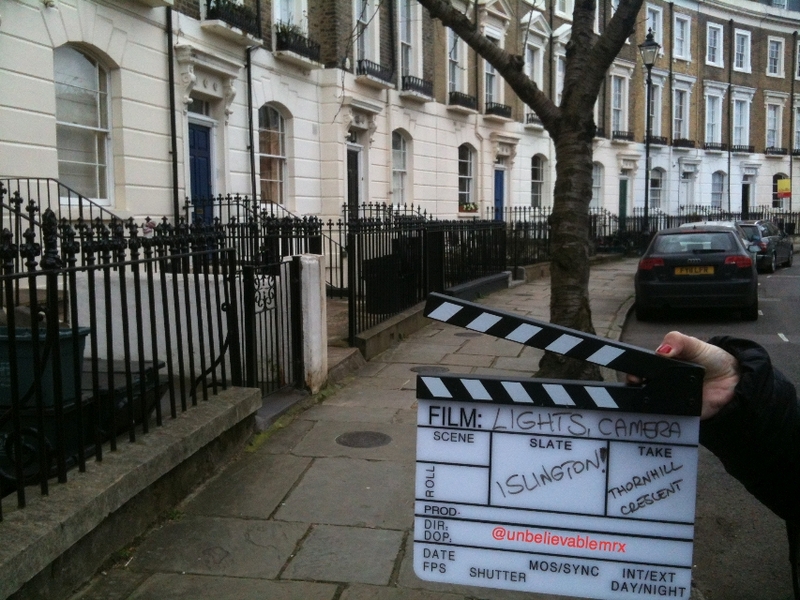 Wilbraham Crescent? No such crescent in Islington my dear Monsieur X, non, non, non! In fact, there is no reason why one should think or realise that we are in the heart of Islington. The whole episode is set in Dover, as the regular views of the Castle and the sea remind us, not to mention the seagulls we hear on most outdoor scenes. 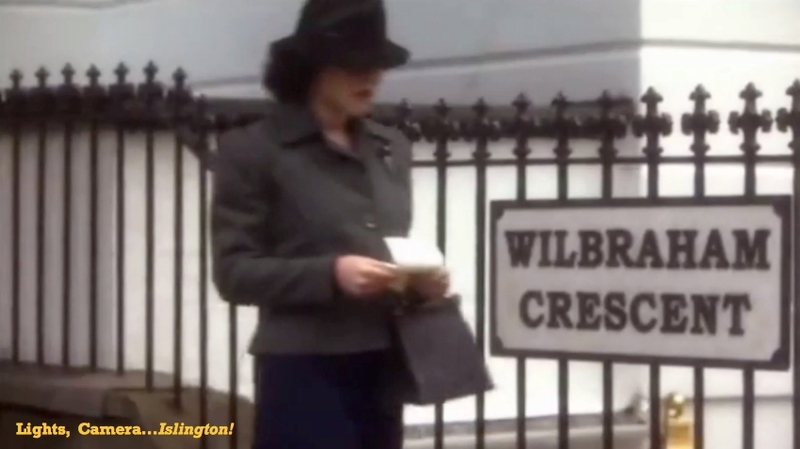 Furthermore, when Lt Colin Race (Tom Burke) presents the case to Poirot he refers to Wilbraham Crescent as “a quiet street away from the seafront”. How could you possibly guess you are in Thornhill Crescent? 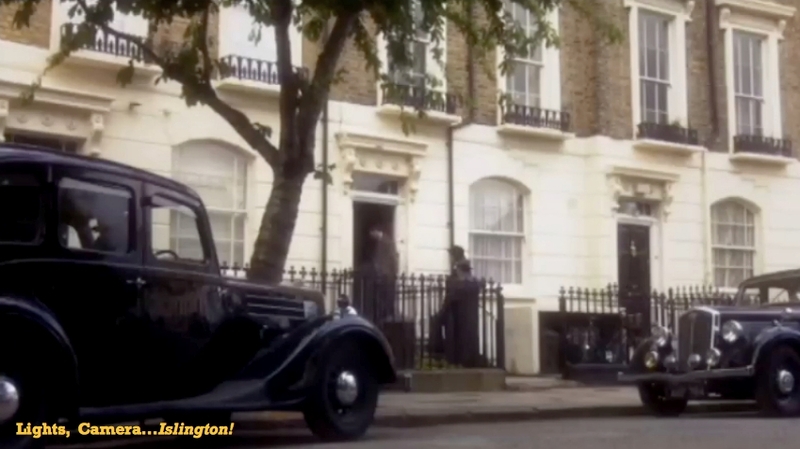 The first time we get to spot Thornhill Crescent is when typist-for-hire Sheila Webb (Jaime Winstone) arrives to the house of Ms Pebmarsh (Anna Massey). She arrives from Crescent Street and turns left. Later on Poirot and Lt Race go back to ask the neighbours a few questions. We can see them arriving by car from Bridgeman Road (east side) and turning right onto Thornhill Crescent. 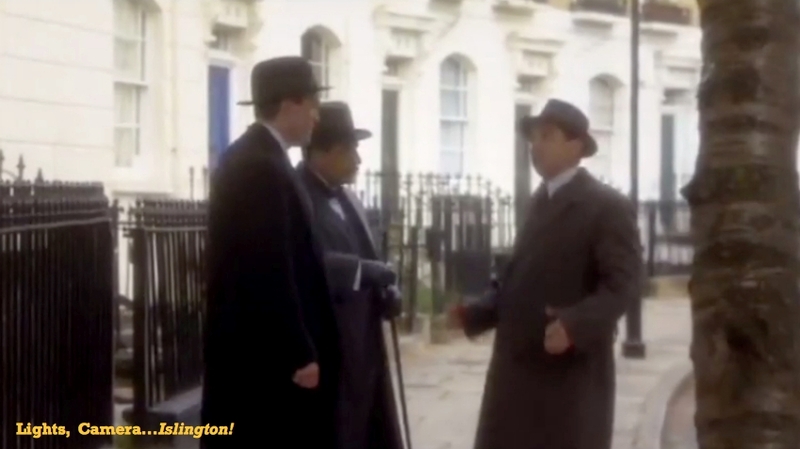 After their visit, they stop on the pavement to discuss progress with Inspector Hardcastle (Phil Daniels) who has joined them. Finally, when our Belgium detective has all the evidences he needed, he rings Inspector Hardcastle. 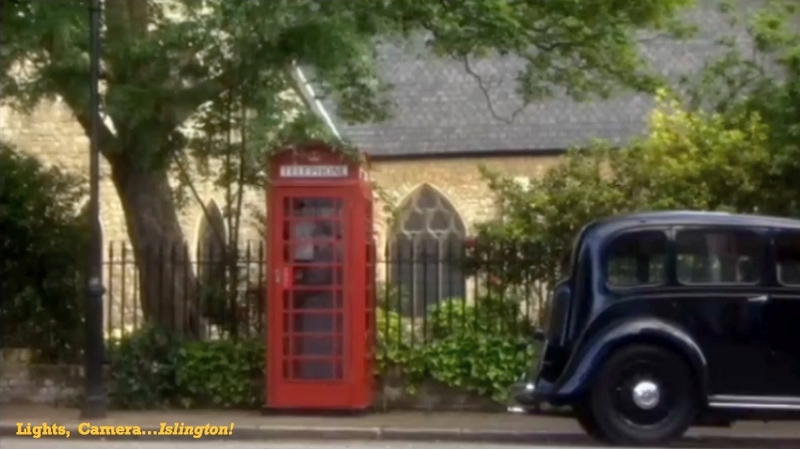 The red phone box used was a prop but St Andrew’s Church can be seen in the background. A particular Thank You to our Twitter friends @thecallyroad and Jan in particular for pointing us in the right direction us! As promised in November we are back for more A Fish Called Wanda adventures, with the sequel of Fishy Wanda on the Run. 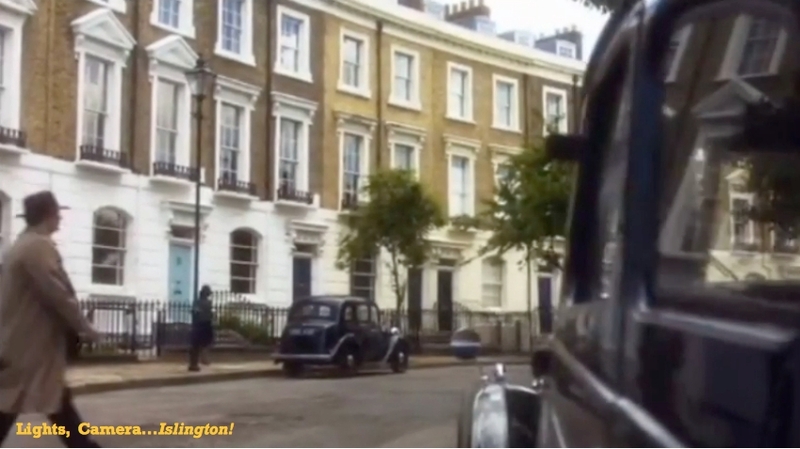 As you may remember, we had seen how George, Ken and Otto (Georgeson, Palin, Kline) having just carried out a heist in Hatton Gardens, made their way to Clerkenwell Green where Wanda (Curtis) was waiting for them in a getaway car. We left them vanishing towards Farringdon Road. One may assume that they would want to go as far away as possible surely. You would not expect to find them just around the corner, would you? Well, that’s exactly what they did! 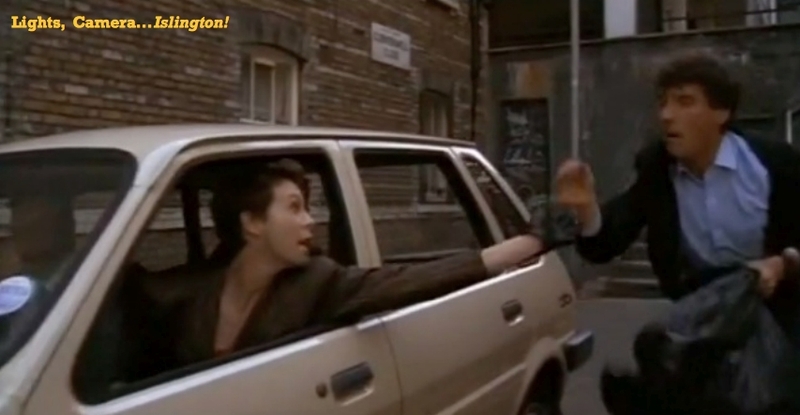 In the next scene, our culprits swap cars. They can be seen stopping their car in an alleyway, running down a flight of steps where another car is waiting for them, getting rid of potential clues not to mentioned Wanda’s moustache. 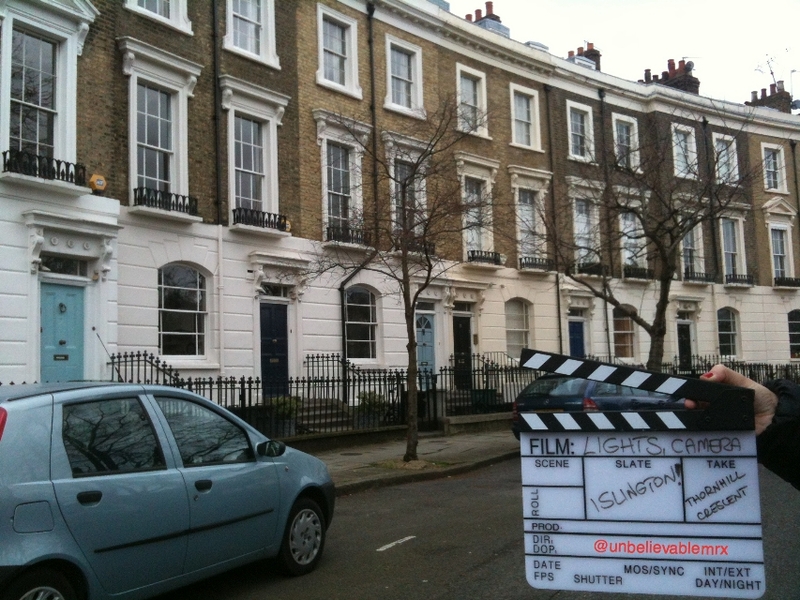 All this was shot within yards of the previous scene in Clerkenwell Green: They leave their car on Robert’s Place, off Bowling Green Lane and get down the steps to reach Clerkenwell Close. While they change cars, a police one passes by coming from Pear Tree Court and rushing towards Clerkenwell Green. 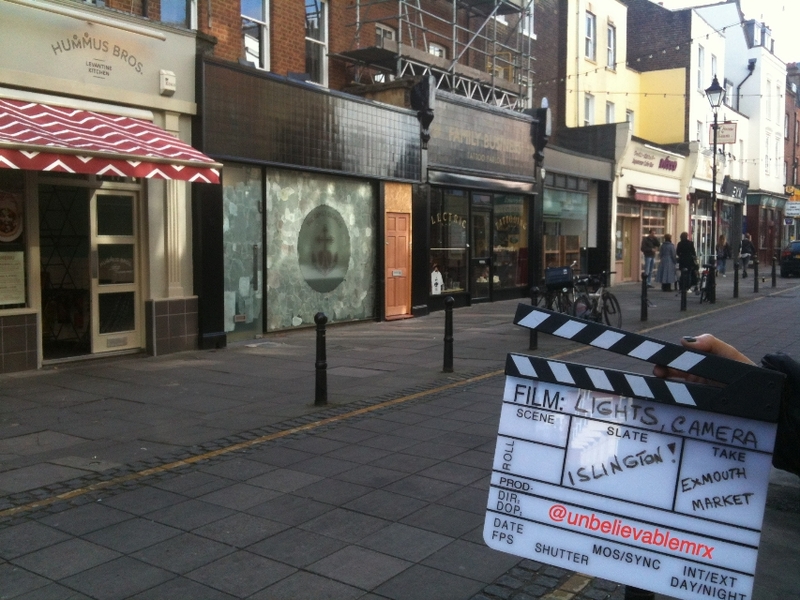 If you look at our Islington Film Locations Map, you will be able to see how close both scenes were shot. 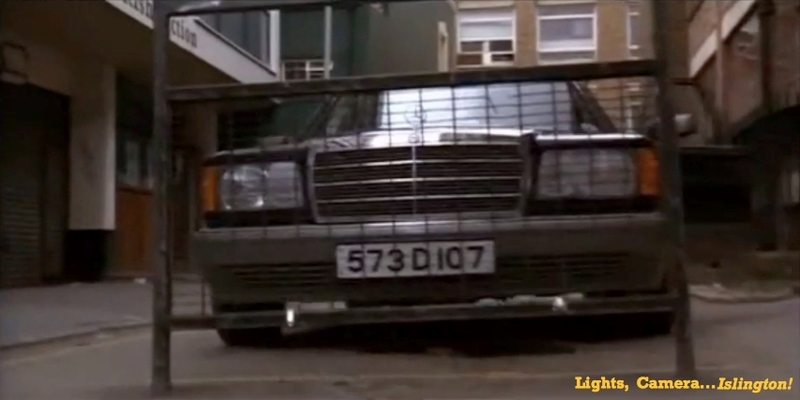 Interestingly, as part of the promotional material used ahead of the release was a photo of the four actors posing in front of the car in Robert’s Place. 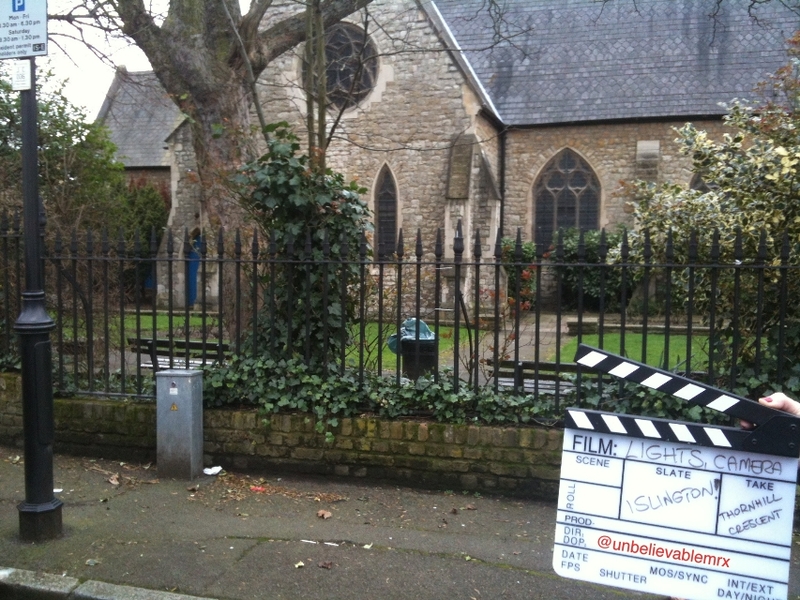 Not quite as obvious as the Houses of Parliament or Tower Bridge but there you go: Shot in Islington! While George, Otto and Wanda are off in their new car, Ken gets on a motorbike. Will we come across our culprits in Islington again? Probably, and closer than you may think…To be continued! 1960s London…The Beatles, The Rolling Stones, the first supermodels Jean Shrimpton, Twiggy, Carnaby Street, King’s Road… Swinging London at its best! As for movie stars, if there is one who epitomizes the British actor of the mid-1960s, it would have to be Michael Caine. Following the success of Zulu in 1964, Michael Caine shot to fame and become a household name thanks first to his role as Harry Palmer (The Ipcress File, 1965) and then to the title role in Alfie. Alfie (1966), for those who really don’t have a clue, is an unrepentant womanizer who only cares about one thing: Himself. He charms women – sorry, birds – cheats on them, treats them disrespectfully… you get the picture. The role earned Caine his first Oscar nomination. 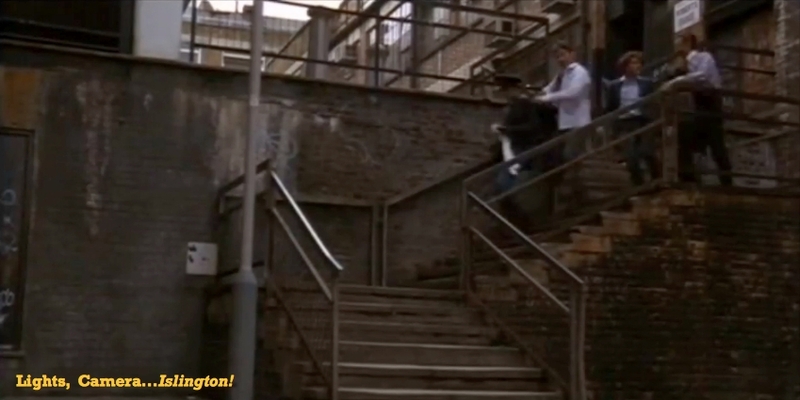 And where best to enjoy life to the full than…Islington! 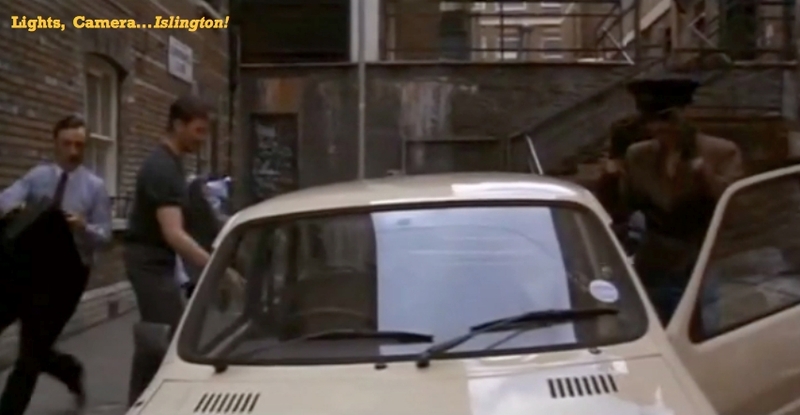 Whereas James Mason strolled along Chapel Market, Alfie preferred Exmouth Market! … before disappearing in Northampton Row. And what about Michael Caine I hear you say. 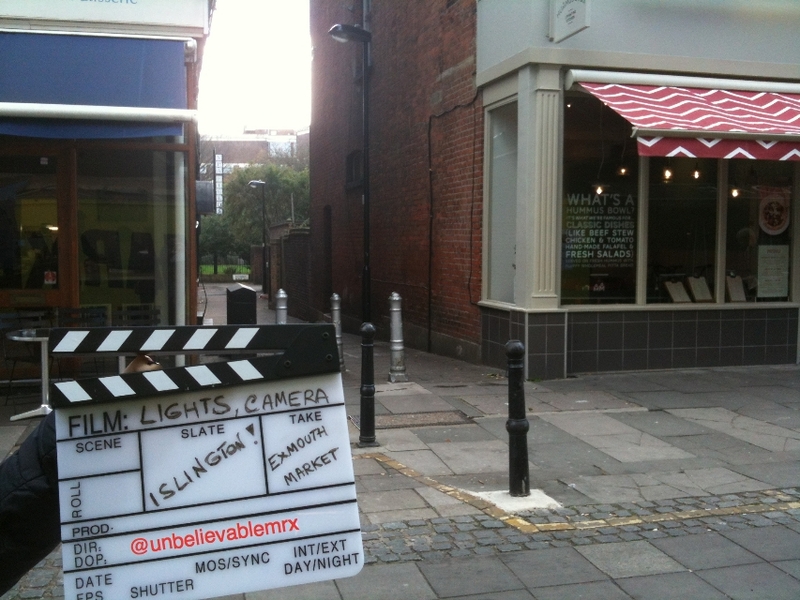 No Michael Caine in Exmouth Market? (cockney accent) Let me tell ya something luv. Bet ya he got busy with some bird in Spa Fields. Obvious, innit? Ah…Swinging London: Carnaby Street, King’s Road…Exmouth market! 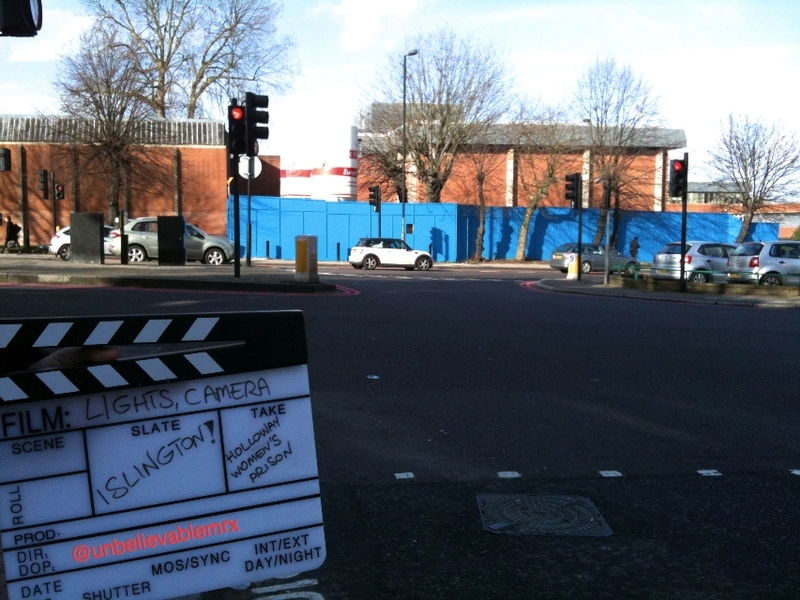 If the borough of Islington as we know it today was established in 1965, our Islington film location of the week has been around since 1852. 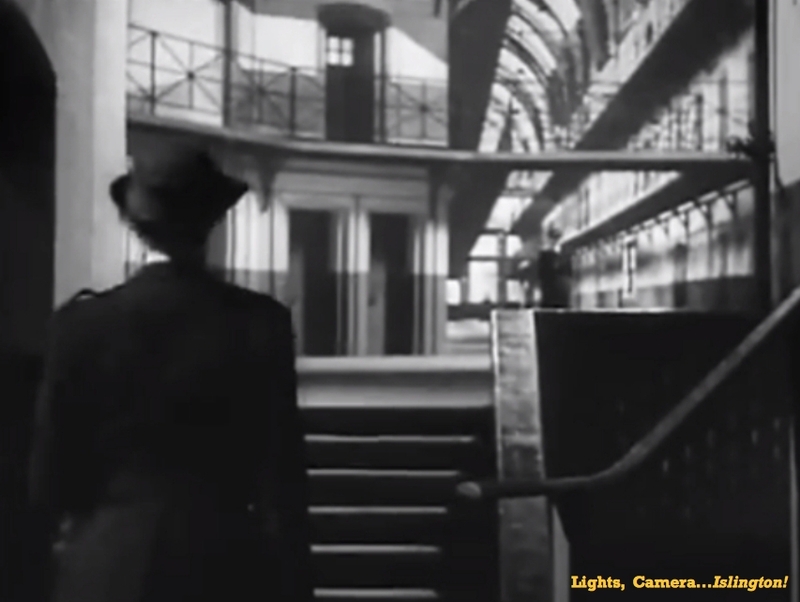 Movies did not exist back then and Holloway Prison would have to wait another 100years before being the set of a film. Initially a mixed prison when it first opened in 1852, it became a women only one at the turn of the century in 1903 and has remained so to this date. 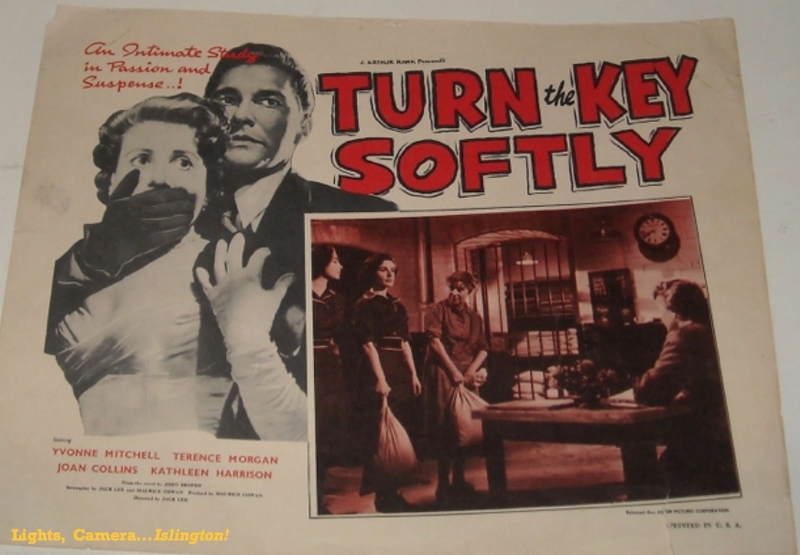 In Turn the Key Softly (1953), Director Jack Lee tells the story of three women of different backgrounds who walk out of H.M. Holloway Prison together: Monica (Yvonne Mitchell), Stella (Joan Collins) and Mrs Quilliam (Kathleen Harrison). As they are about to leave prison, Monica proposes that they should meet up later for dinner to discuss how their first day of freedom has gone. 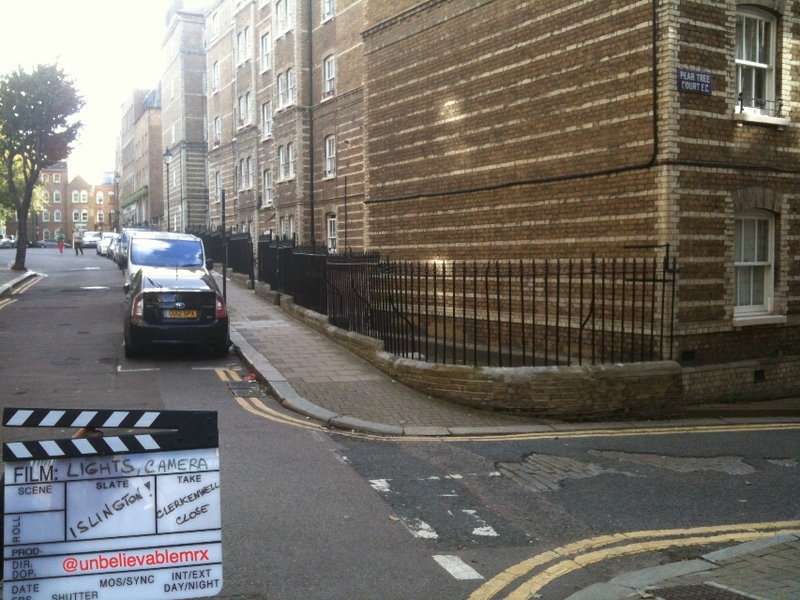 Holloway Women’s Prison steals the show from the first second of the movie. 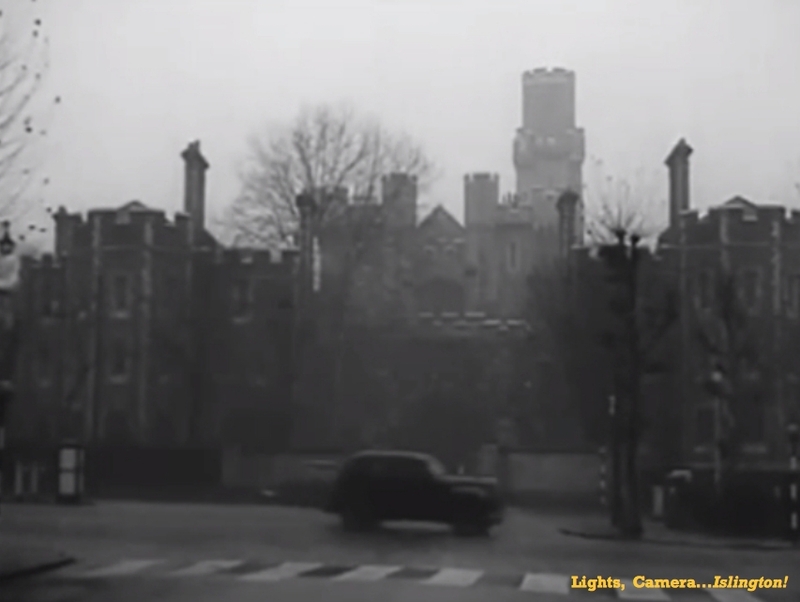 The entire opening credits sequence is set against the backdrop of ‘Holloway Castle’ as it was known back then due to its peculiar appearance. Outside the prison one can see a few cars and trolley buses passing on Parkhurst and Camden roads on a foggy London morning. 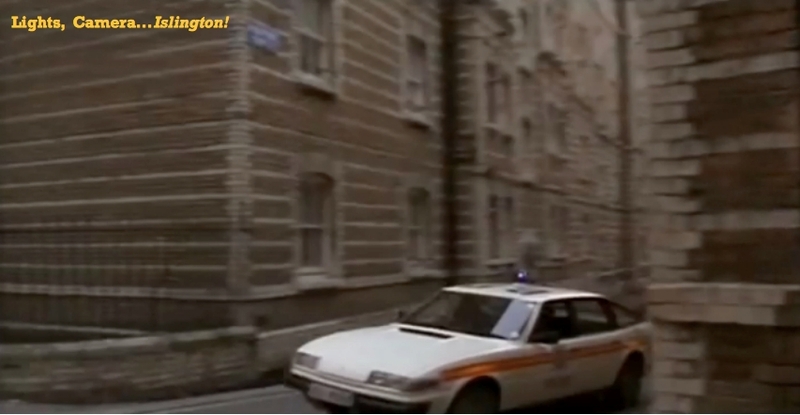 Straight after the opening sequence, the first scene takes was filmed inside the prison rather than in a studio. 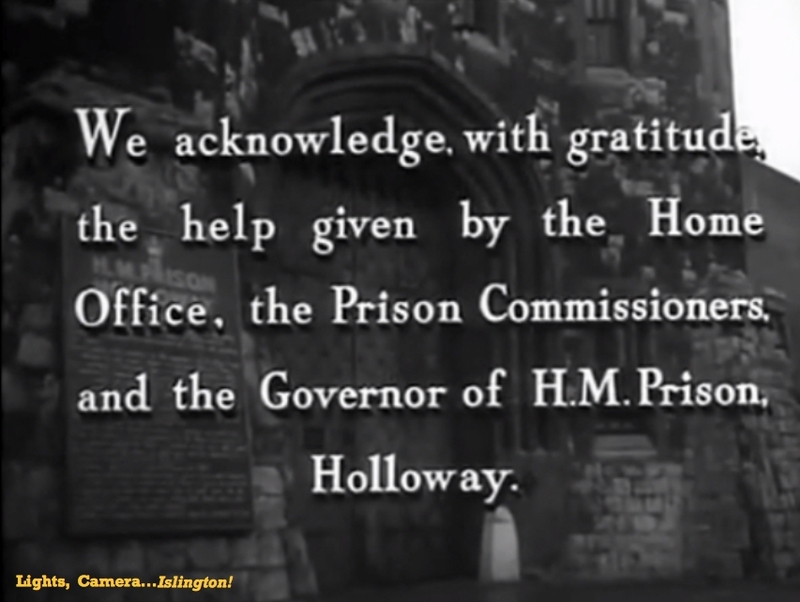 Indeed, a ‘Thank You’ message was added to the credits: “We acknowledge, with gratitude, the help given by the Home Office, the Prison Commissioners and the Governor of H.M. Prison, Holloway”. In the early 1970s, Holloway Prison met a similar fate than The Ladykillers’ Frederica Street and a new prison was built on the same spot. Today, standing across the road, the trees seem to be the only remains of the Castle. Outside of the prison not much has changed though. When the 3 women leave prison, Stella’s fiancé is waiting for her outside. 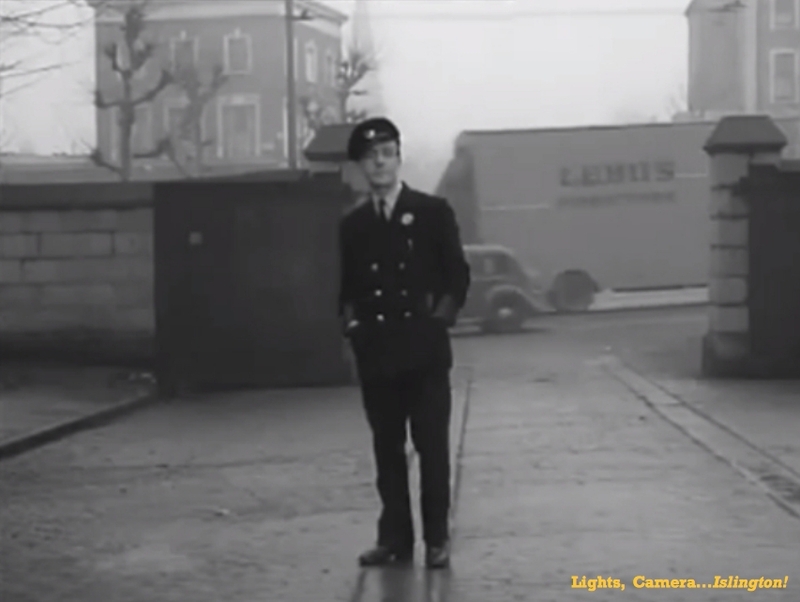 Behind him on the left, on the corner of Camden Road and Hillmarton Road is a three-floor house. This is still here and is ‘The Castle Bar’. I do not know what it is was back then, but wouldn’t be surprised to learn it had been a pub or small hotel for the families visiting their relatives and friends. Last but not least, not only did Holloway Women’s Prison made it to the big screen, it also featured on the Lobby Cards used to promote the films in cinemas around the world.